& Other Stories is a firm favourite with the fashion crowd, and it certainly needs no introduction to readers of Who What Wear UK. However, there's one section that's particularly popular with the Instagram set this season: the knitwear. From cropped colourful cardigans to chunky oversized cable knit jumpers, this is arguably the best place on the high street to stock up on your knitwear this season. In particular, we love the cream fluffy bomber-style cardigan and the brown crew neck covered in a powder-blue floral print. Keep scrolling to see and shop the best knits in & Other Stories right now. 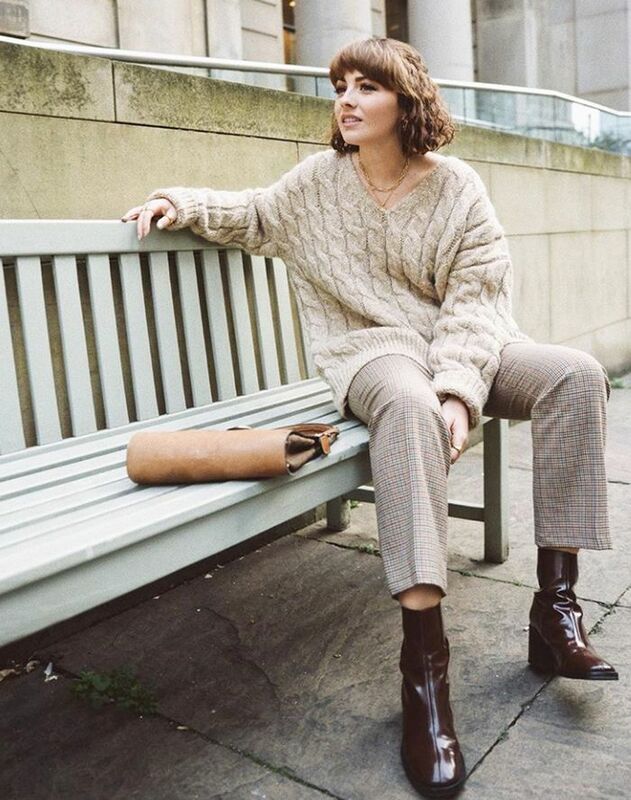 Style Notes: Alice Catherine wears her & Other Stories chunky cable knit jumper with checked cropped trousers and glossy patent boots. Style Notes: Emili Sindlev wears her green & Other Stories cardigan with a vibrant orange satin slip skirt. Style Notes: This white cardigan almost instantly sold out — but there are many more other beauties in & Other Stories right now. Next up, see our guide to the key trends for winter.